The choice of the pro-cycling Team Sky. 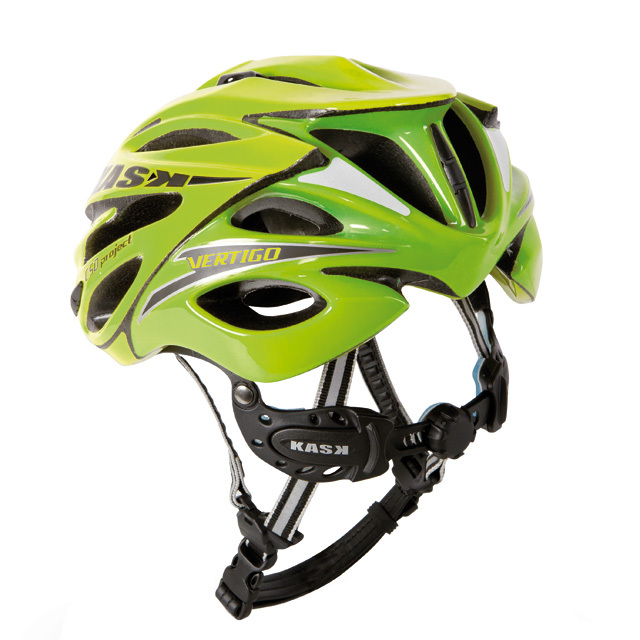 A top of the line helmet, offering unsurpassed comfort and fit, together with all Italian styling and manufacture, which incorporates a number of unique design features that make it stand out from the rest. One of the safest, best fitting and most stylish range of cycling helmets available globally. The all-Italian-made KASK helmets are the choice of Team Sky, where no secret is made of the fact that every element has been selected to deliver a winning advantage for the team. Unsurpassed ventilation is achieved by means of 24 large air vents, a design feature made possible by the reinforced helmet frame - all delivered without any compromise to the safety or aerodynamic qualities of the helmet. Hygiene is also well thought through and each helmet has an easy-clean leatherette chin strap. The internal pads are made from KASK’s 3D Dry system which draws perspiration away from the head and these pads are removable and washable. Pro-cycling Team Sky has a technical partnership agreement with KASK and the riders have been wearing VERTIGO and K.10 RACE helmets specially adapted to suit their preferences. "By choosing KASK, Team Sky has made a powerful endorsement of the quality of our helmets and we are looking forward to working with them to secure success for the team," said KASK President Angelo Gotti. And Team Sky Principal Dave Brailsford echoed that when he said: "We are pleased to have found a great partner in KASK, supplying top-of-the-line helmets for Team Sky. It's an innovative company with a technology-based line of products and this suits our needs perfectly. We're always looking for competitive advantages using only the best available and always trying to develop the products even further. 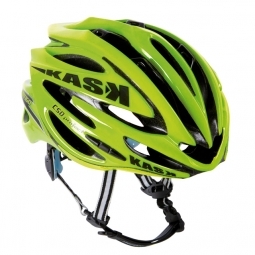 I believe working with KASK will provide us with another good opportunity to do exactly that."